comfortable and spacious - friendly staff and easy to find. 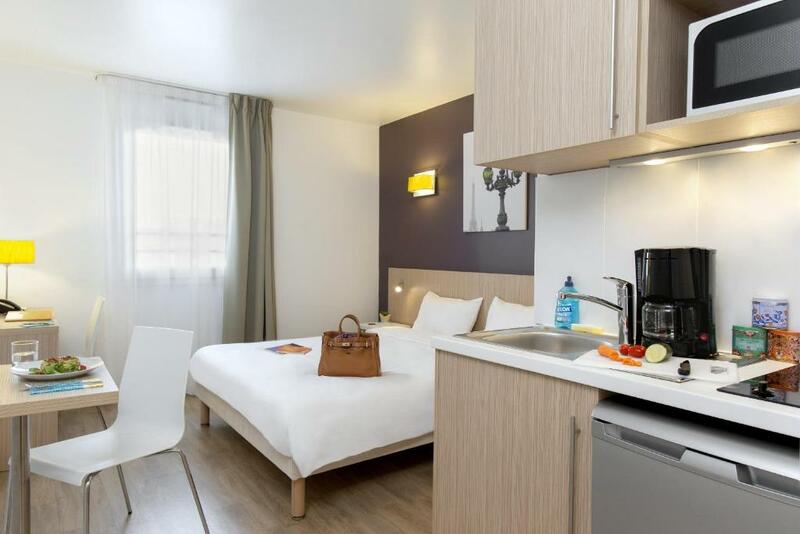 Room is very comportable and clean when we came.i like the kitchen its very convenient.metro is not that far it was connected for most tourist spots.and so much stores around which is also good. Cleanliness and receptionists cordial. It’s in a good area and convenient. Good location. Close to public transportation, restaurants and other amenities. Room was large with more than enough space. The Air conditioner worked very well, the facilities were nice in total. The 24hour reception was comforting. Also the hotel is close to both RER and Metro. Very clean and quiet place. The room and the bath room are big. The kitchen is well equipped with all the utensils you need. The place is very safe and has lots of stores and restaurants around. Bed is comfortable and the room is well organized with plenty of storage. 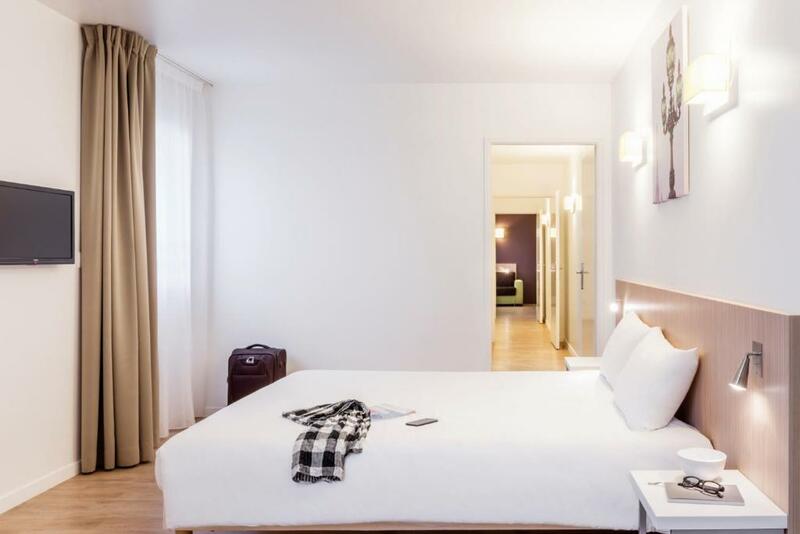 We loved the location because of its closeness to Gare Clichy LeVavellois. Location was fine as far as access to Metro is concerned. Spacious apartment, all kitchen supplies needed, comfortable beds, clean. 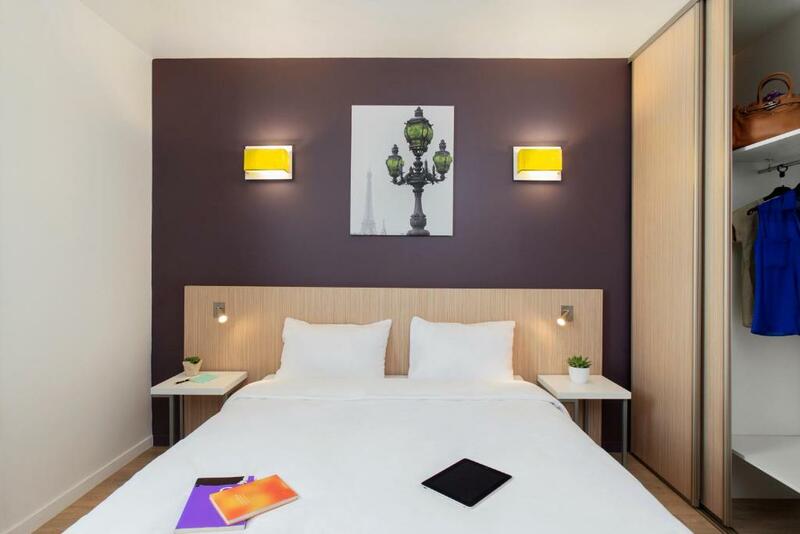 Aparthotel Adagio Access Paris Clichy offers self-catering, eco-friendly studios located 5 mi from Paris and from La Défense business district. It has a 24-hour reception and the studios include free Wi-Fi and an LCD TV. Decorated in a contemporary style, each air-conditioned studio has a kitchen equipped with a microwave and a fridge. The private bathrooms are fitted with a shower, and a hairdryer is available at reception. A breakfast buffet is prepared every morning at this property, and it is taken in the breakfast room. 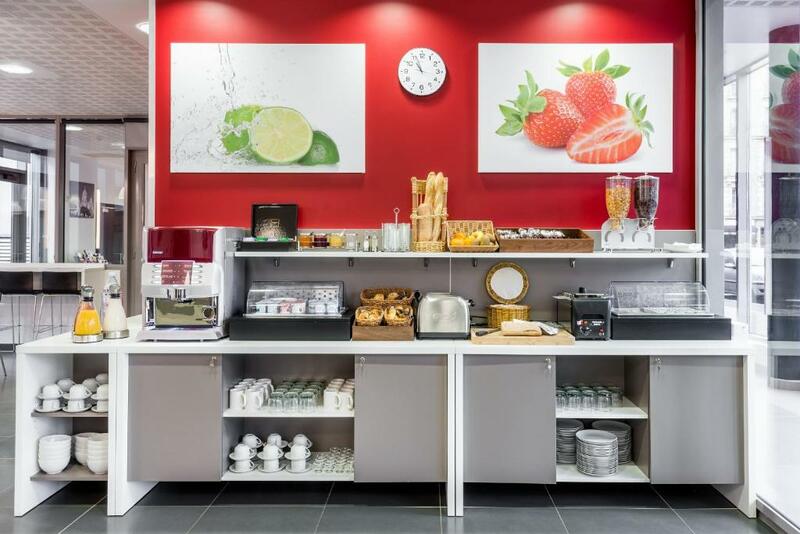 It includes cereals, hot drinks and pastries. Supermarkets, bars and restaurants can be found nearby. 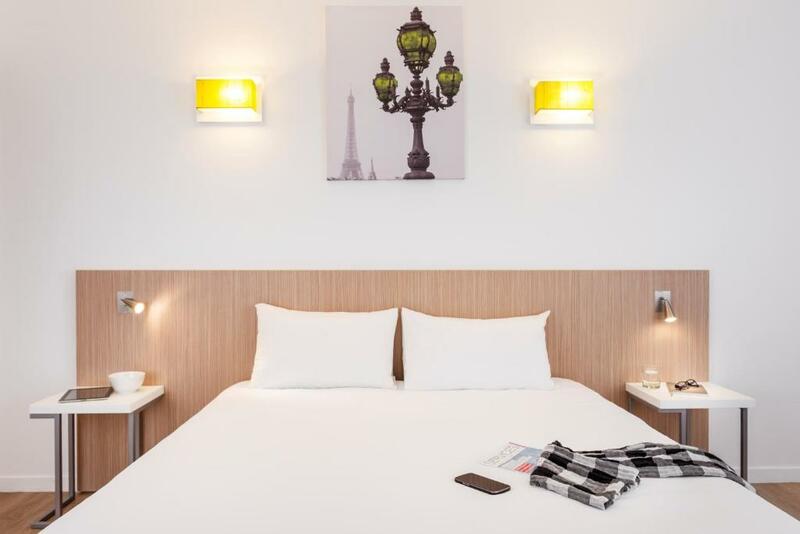 With private parking on site available with an extra cost, this apart’hotel is 17 mi from Charles de Gaulle Airport. Clichy Levallois Station is only 1,950 feet away. This property is also rated for the best value in Clichy! Guests are getting more for their money when compared to other properties in this city. 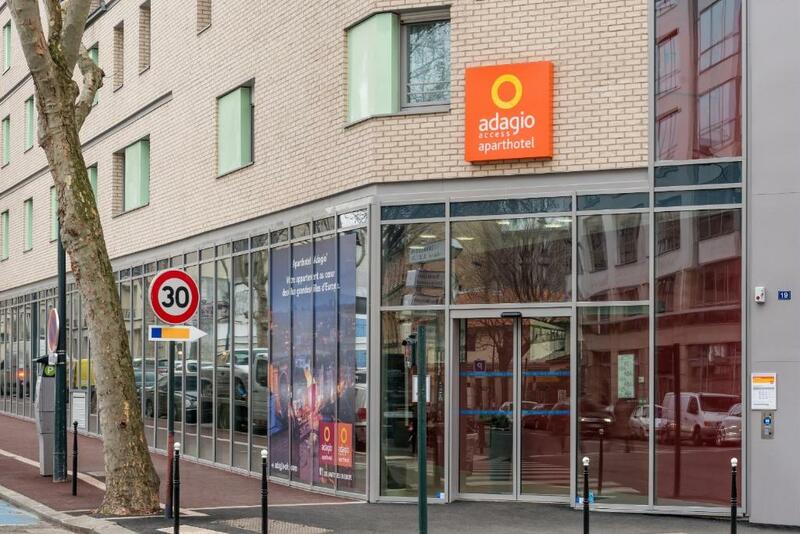 When would you like to stay at Aparthotel Adagio Access Paris Clichy? 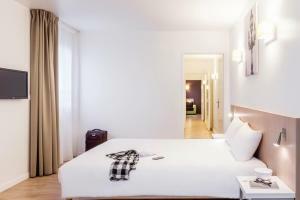 A flat-screen TV, free Wi-Fi access and kitchen facilities are available in this studio. This studio features a stovetop, air conditioning and microwave. This studio has a microwave, kitchenware and kitchen. This apartment features a sofa, air conditioning and kitchenette. Modern aparthotel, 600m from Clichy-Levallois railway station, with access to the centre of Paris in 6 minutes by train (line L). 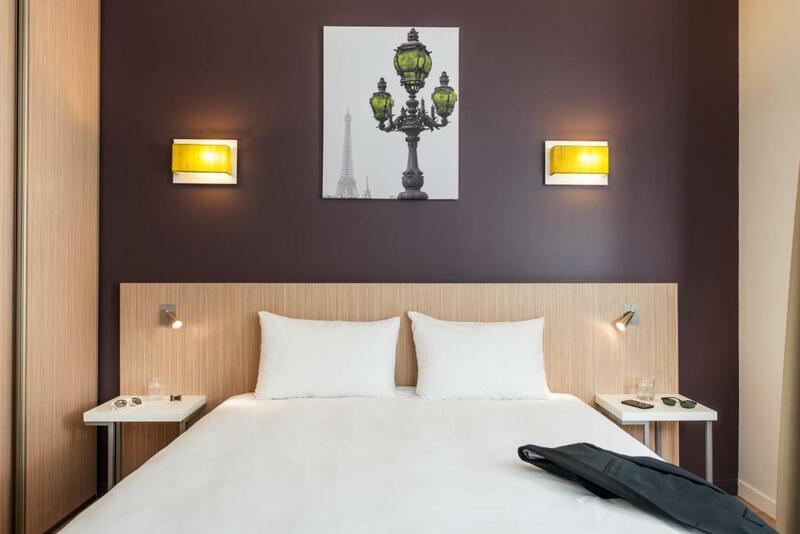 House Rules Aparthotel Adagio Access Paris Clichy takes special requests – add in the next step! Aparthotel Adagio Access Paris Clichy accepts these cards and reserves the right to temporarily hold an amount prior to arrival. For stays of up to 7 nights, optional housekeeping service is available upon request and at an extra cost. Staff could have been friendlier and more approachable. Spacious room, comfortable and had great facilities. Location from main attractions is pretty far especially when you are not a local, cannot speak the language and did not use public transport. The bed and pillows very comfortable, apartment very clean. Possibly one problem was the shower screen too short which meant the floor became wet around the toilet area. Staff very good. Bathroom sometimes stinks,and shower is missing other parts of glass door..water leaking and splashing.kitchen utensils is not paired.heater doesnt work in the bed room. Their breakfast was not enticing, the lady working there had to be told that some things were finished, at some point in time there was no bread. For the price, the room was too small. They will only clean your room once during your stay. It is located in a somewhat borning area and overall not worth the price. The hotel was neat and comfortable. It felt secure and had many shops around. It is also around 10 minutes walking distance from two metro and train stations. The staff was very helpful and friendly and the rooms were quiet and had many facilities in place. Very dirty, room smelled like cigarettes, I asked to get another room and the second room also had a bad smell. the air conditioning was out of order and I told them but they failed to send anyone to fix. I had another room booked for next weekend but I cancelled it disgusting. Staff was rude. They did not provide basic amenities for the room . Looked amateur on how to handle guests. Stayed four days. The room didn’t get cleaned even once. Did not get towels. No face wash cloths. Power went out on my floor for hours and when I inquired about compensation or a discount, I was offered a croissant or a juice. Staff and house keeping were rude. I would not recommend to anyone.